Steve West praised Hitler and linked homosexuality with pedophilia. Steve West, a Republican candidate described even by his children as racist, homophobic, and anti-Semitic, has lost has bid for a seat in the Missouri House of Representatives. West lost Tuesday’s election to Democrat Jon Carpenter, a three-term incumbent, by a margin of 63 percent to 37 percent, according to the Missouri Secretary of State’s website. Still, that means he somehow got more than 5,000 people to vote for him in the liberal-leaning Kansas City-area district. West won the Republican primary in the 15th District by nearly 25 points in August, according to The Kansas City Star, but he was repudiated by the party and outed by his children as a bigot. 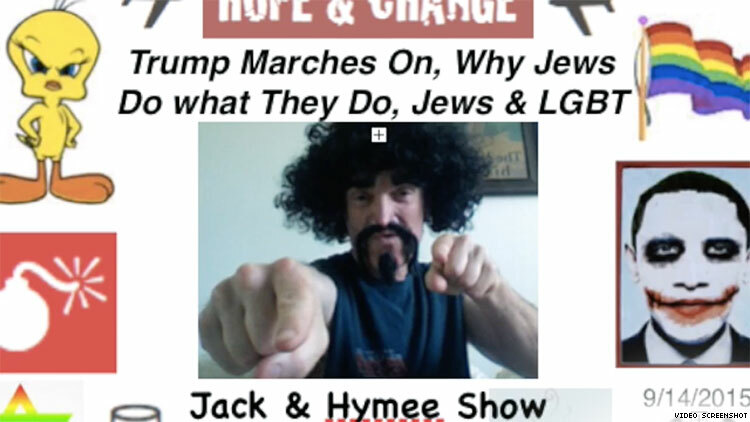 West spouts his views on a radio show, website, and YouTube channel in which he assumes the character of “Jack Justice,” usually wearing a wig and fake beard, the Star reports. He has associated homosexuality and Judaism with pedophilia, said participation in sports causes women to become lesbians, that Islam is not really a religion but instead a political movement, and that “Jewish cabals” are “harvesting baby body parts” via Planned Parenthood. On a broadcast in January 2017, he said, “Looking back in history, unfortunately, Hitler was right about what was taking place in Germany. And who was behind it,” according to the Star. Steve West, 64, has contended that he doesn’t have anything against Jews or any other group per se, just some of the “ideologies” associated with them. He has also claimed his ex-wife turned his grown children against him. But when NBC News asked him about his beliefs, he responded with more of the same hateful rhetoric. “When it comes to LGBTQ people, he doubled down on a previous claim that women’s athletics are a ‘breeding ground for lesbianism,’” NBC News reports. “He also claimed that homosexuality and pedophilia indeed ‘go hand in hand.’” He cited disgraced gay right-winger Milo Yiannopoulos as his source for the homosexuality-pedophilia connection.